I was going to wait until the holidays to go on hiatus, but life is so busy! Between my three little pumpkins' birthdays all in October, I feel like it's wham-birthay planning! Wham--Halloween costumes! Wham-wham-wham--Thanksgiving! Christmas! New Year's! *wipes her brow* It's enough for me to want to hibernate until January! Today I'm reposting something from March of 2010-- a full 19 months ago!! It's like a time capsule! This was a question and answer session I did for my 100th(ish) blog post. I stumbled on this when I was looking for the "Awesome" picture shown below, and it gave me warm fuzzies to revisit what everyone asked and all of the goofy answers I gave. Some things haven't changed... I still love Star Wars more than Star Trek, and thankfully, my most embarrassing moment hasn't changed. And unfortunately, the hairless fairy still hasn't visited me to grant me permanent hairlessness from the neck down. I haven't given up on her, though! 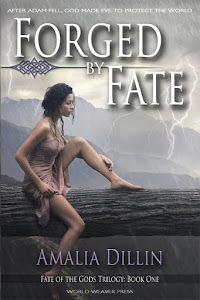 Some things have changed, though... the book I mentioned, (which was a WIP at the time and which is now complete), isn't titled Fated anymore, but Twists of Fate. I would rather star in Wicked than Phantom of the Opera now. A change in cell phone services forced me away from my beloved Blackberry and into the fun that is Droid. Other than that, though, I think my answers would be the same. My question for you is: Who is your favorite Star Wars character and why? also: Favorite Mythological figure? and why! P.S. why was I not following you before now on Twitter? Now, to answer your first question: My favorite Star Wars character... how to choose? They could all be favorites in different ways. Favorite character to hang out with? (Chewbaca) To battle the Sith with? (Obie Wan Kenobe) To grab by the face and kiss? (Han Solo). I think, if you're backing me into a corner here, my absolute favorite character, the one that makes me happiest to see, is R2D2. The second question is MUCH easier to answer. 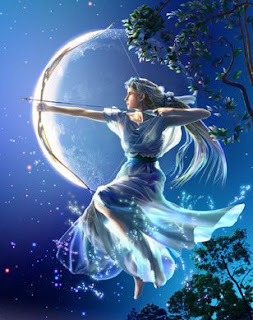 My favorite mythological figure is known in mythology as the goddess of many things... the hunt, the moon, the light, chastity/purity; she's a daughter to Zeus, a sister to Apollo; Diana in Roman mythology and my namesake in Greek: Artemis. Ha! I like your question, and the answer is STAR WARS!!! Does your hubby like your writing? My husband doesn't read fiction! Talk about the ying to my yang, right? I've tried to get him to read but, the man just doesn't. He won't read my stories, but he is thoroughly in awe of the fact that I write for pleasure. There are few worse tortures to him than writing. If you could be in ANY musical, what would it be, what character would you play, and why? Here's my question, and it's a two-parter. Have you always lived in Cali? If not, where are you from? I haven't always lived in Cali. I grew up on Miami Beach, South Beach actually. We moved to L.A. the summer before tenth grade. I love both places for different reasons, but one thing I missed about South Beach, growing up, is the fact that it was totally fine NOT having a car. There was so much to do within walking distance, and public transportation was a snap. Not so true of being a teen in L.A.
Hmm, a question...Is there a song, image, book, movie, etc... that inspires you more than all the others? Do you have one of each that has your Muse all excited? Good question! I'm definitely inspired by other creativity, be it music, movies, novels-- art in general, really. Big, epic movies with adventure and romance definitely get me thinking of my own work; art inspires my imagination for sure. Music fires up my muse probably more than anything else. I'm all over the map with music, but deep, meaningful songs like In the End (Linkin Park), You Found Me (The Fray), Apologize (OneRepublic) tend to make me think of my wip's male protagonist. Fun songs like I'm Yours (Jason Mraz) and love songs like I Will Be (by Leona Lewis) have me thinking of the female protag. There are tons more songs but I am terrible with song titles and names!! Such a meanie!! Just kidding ;) Okay, the MOST embarrassing? How do I choose from so many embarrassing moments? Okay, "while traveling" narrows it down... I think it would be the time I went to the beach with my then-boyfriend, now-husband and my brother. We were jumping waves when one of them got me-- and I mean GOOD. I tumbled over and over until the sea spit me out on the sand. I couldn't even see straight from the craziness of my hair wrapped around my face, and when I stood up I didn't know why my brother was laughing like a maniac. Yeah yeah, my one-piece bathing suit was down around my waist. It had a low back, and somehow both straps came completely off in the tumble. But everyone on the beach thought it was grrrrreat. I still blush thinking about it. Awesome. Hmmm. What's the best idea you've ever came up with, but haven't written yet? Wow, you really want me to give away the farm? Okay, here's one I think is good, and I haven't sat down to start it: A sixteen year old girl who can't look people in the eyes without seeing their pasts accidentally looks into the eyes of a girl being chased by a supernatural force (which I'm leaving vague here on purpose, heehee). Congrats! And, my questions is - what has been your lowest moment and your highest moment when writing? My lowest and highest moments-- when writing-- hmm. When writing I'm deep in my characters' minds, so their lowest and highest moments are mine. If you mean, as a writer, my lowest moment was when I gave up. I thought I was such a rock-hard awesome writer, I'd been in critique groups and taken creative writing in college, but I'd never sought publication. And doing so made me feel small and insignificant. There were so many people trying for the same goal, and being a writer for publication is completely different than being a writer for a creative writing class. The truth is, I AM small and insignificant, but it's up to me to grow and make myself relevant. When I figured that out, and got over myself, that's when I was ready to come back. That was a high point, because it was like my mind opened up on a door that had been there all along: rejection is a tool for growth. To be honest, my highest moment was my first full request. Every full sent out is intense, because that is the closest point to getting The Call that an aspiring author typically can be. Well of course you'd be there Void, that's a given :) So I'd be stuck for four hours? And I'm supposed to bring along three additional blogger friends for this little trip? Wow, I'd have to do a drawing, truly. I mean Wendy and GwOE for sure, they're my critique buddies, but as for the third I don't know if I could narrow it down! (BUT, you must answer!!!) Okay okay, I will then!! I'd take an agent-blogger, and hopefully he/she would be charmed by us by the end of this bonding session and offer to look at our manuscripts! Another impossible question to answer!! Again, forced to choose one, I'd say Coldstone's Cookie Doughn't You Want Some in a chocolate-dipped waffle cone, yuummmmmm!! My question: Your sidebar has six novels you've written or are working on. How long have you been writing? Have you queried before? Basically, what's your journey been like to this 100th post? Hee hee, she wants The Journey. First I'll give you the short answers: Writing stories since junior high (around the time I started reading steamy historical romance novels). I should, technically take two of those stories off my sidebar, since one will never be written and the other is a short story I don't plan on making into a novel anymore. And yes, I have queried before. And now... The Journey.... get comfy and bring some snacks, I only know the long way around. Okay, so from the above you can surmise that I'm the kind of writer that has always written. I HATED writing for school, but I wrote stories for myself. Mostly out of boredom after finishing reading the romance and fantasy novels I was addicted to. I pretended to take notes in class, but really I wrote and wrote and wrote. It was extremely cheesy stuff; VERY damsel-in-distress. Fast forward to college. My senior year I took creative writing because I needed three more units for my full financial aid. My stories had become more "real" to me by then, and I had started thinking more and more about maybe-someday going for publication. So, the class was great. I loved it! I didn't say anything to the professor about my secret ambitions, but she stopped me after class one day and told me, well, she said a bunch of things every writer hopes to hear, and encouraged me to focus on novel-writing (everything before this had been short stories). You can imagine what this did to my head. I went through what a lot of writers probably go through, and I thought I was the most talented author to ever set her fingers to a keyboard. I was freakin' awesome!!!! EVERYONE said so. My mom, my friends, my professor, of COURSE I would be published. Such a given. So I graduated and became serious about working on my masterpiece, a medieval romance novel. It took me about a year to finish it. I became involved with RWA, found a critique group, and six months later sent out queries. It took another six months to realize the thing wasn't any good. I reworked and reworked, cried at harsh critiques (even though I asked for them), cried at the rejections (even though I was the one putting myself "out there"), started other stories, came back to the first novel, and spent altogether... probably two or three years querying and reworking it. Meanwhile life went on, I taught 3rd grade, had kids, wrote some short stories, started and stopped a few other novel ideas (including a YA), and still nothing was happening with my romance novel. I finally got it through my skull that the story itself might never be good enough. I shelved it. Then took it out a few months later. I saw it for what it really was. Not good. I had gotten a nibble from a magazine on A Christmas Treasure by this point. That's the short story that's on my sidebar because it was my first (and only) "Yes, we'll publish this!!" even though the magazine went out of business before the Christmas issue came out. I was prideful back then (okay, I still am, but not as much! ), and this acceptance had been validation. The Am-I-Crazies subsided and I decided to focus on another novel, the Castaway one over there. And I made a stupid move. A big one. So dumb! I queried Castaway before it was finished! Yup, that's like, third or fourth in the Query Commandments, right under Thou Shalt Not Call Agents/Editors and Thou Shalt Never Send Rude Correspondences. I can't claim ignorance. I'd gone to enough conferences and been learning from agent/editor interviews for too long for that kind of bonehead move. But I had wasted so many years on the first novel and I felt like I needed to catch up or something. But anywayyyyy, where was I? Oh yes, the dark moment. The dark moment happened after I was rejected again and again for Castaway, the unfinished novel I shouldn't have been querying. The validation from my college professor and Arabella Magazine were distant memories. I decided I was a fool. A hack. I couldn't do it. I stopped writing completely, which was weird. I even stopped reading. Weirder. I tried, reeeeeeeally hard, not to be a writer. I distanced myself from everything writer and book-related. I didn't want to be reminded. This lasted over a year. My husband noticed me becoming more and more sparkless, and apparently he understood the connection of me not reading or writing, even though I never made a formal announcement to him or anything. One day out of the blue he dropped me off at Barnes and Nobles and told me to go nuts, he'd be back whenever I called him to pick me up. It was right after Christmas. I still remember all the holiday books stacked at the front of the store. After more than a year away from reading ANYTHING, it is not an exaggeration to say this was a life-changing moment for me. I gravitated toward fantasy and romance, as usual, and picked up a fantasy, Eragon, not realizing it wasn't "adult." I was instantly transported, and when I found out it was shelved in YA it made my head spin. I found a whole new genre, and fell in absolute love with it. I gobbled up book after book, and it wasn't long before I turned my eye to my own writing. I had started a few YA stories long ago. I opened one up, which at the time was called Sanctuary. It's now Sinister Charms (Sinister on my sidebar), and I think it took me only four months to finish. I queried Sinister to fifteen agents, in batches of three. I received five form rejections, five non-responses, a few partial requests and one full request, which all ended in rejections. The requests were definitely cool, but I didn't let them go to my head this time. And after fifteen queries, I stopped. I can't say why, but something told me (tells me) that Sinister isn't the right novel to query. Fifteen may not seem like a lot, but I remembered the years and years of rejections on the medieval novel, and I don't want to do that again. If it isn't good enough, I want to move forward. I wrote Wishmaker during Sinister's query period, but have never revised or queried that novel. I think it's a sweet story, but I KNOW it isn't strong enough. While deciding whether to revise and make it stronger-- or not, and let it be another learning experience-- I came up with another idea for a new story. I think this one will be strong enough to be the novel I WANT to query with. And that is my current WIP, which I call Fated. And since I'm posting after Elana, I have to echo her questions. Sum of the journey for us. What would be The Word if you could only use one? I hope I summed up the journey well enough for you!! The Word? Hmm, don't know if I'm sure of what you mean, but I'll take a stab: success. 1. If you had it to do over again, would you go with an iphone? NEVER!! Blackberry or death! 2. If forced--I'm talking, threat of needles in your eyeballs and lobster claws on your nose--to choose one of your WIPs as your #1 favorite, which one would it be, and why? Fated. It's scary how cool this story is turning out. 3. Have you ever forced your child to eat something that you yourself hated as a child? Ugh, I wish I could say no!! I make my son take a bite of his salad every time we have it. I hated salad as a kid, and so does he. 4. What is one thing you said you would never do and ended up doing in the end? I said I'd never send my work to cyber-buddies that I haven't "met" in real life. I'm really glad I decided to do this! 5. What is the biggest writing/publishing mistake you've made? Ha! Only one? Querying an unfinished novel, definitely. 6. Favorite type of cheese and what do you eat/drink with it? Unspicy nacho cheese! I eat it with popcorn, chips, crackers, on broccoli, baked potatoes... the better question is, what DON'T I eat it with? 9. If nobody were watching, what is one thing you would eat with your hands that you would normally otherwise eat with utensils? Pie, lol. Actually, most desserts. But with pie pick at it with my fingers, right out of the tin. I convince myself that I'm only having a taste and not a whole slice, but come on, right? I eat like, three slices-worth of pickings! Does this mean I get to claim your awesome award 9 times? Hmmm??? Yup! "Now announcing, nine-time Awesome Award winner, CAROLINA!!!!" Would you like to buy a box of girl scout cookies?? Yes, I've bought too many already!! I think I already know, but you may surprise me. 4. Edward or Jacob? Doh. Why did I ask her this? For Bella: Edward. For me: Jacob. 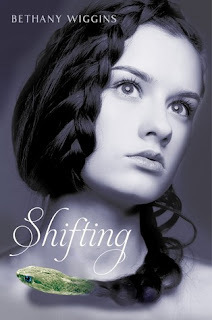 Today I share a book I loved: Shifting by Bethany Wiggins. I’m lucky enough to be a part of Bethany’s ARC tour and I couldn’t be more delighted to be sharing my thoughts on this emotion-packed, exciting and beautiful-written story. In case you haven't read one of my Book Talks before, I'm not so much interested in "reviewing" or summarizing the plot, nor do I give this-many-stars or happy faces or what-have-you...I just love talking books. Okay then, that still holds true from my earlier blogging days. Newer readers, now you know! What I loved most about Shifting is that it’s full of emotions that are so real; the loneliness and hurt that Maggie Mae feels is palpable, and it made her come alive as a person. A part of me feels like I could head to New Mexico right now and find her if I tried. True-to-life characters make or break a story for me, and Bethany did an outstanding job in writing Maggie Mae. Mixed in with romance, suspense and Navajo magic, Shifting is an incredibly unique and well-written story I loved every minute of. First, I have to share how much I loved Maggie Mae. I really enjoy when the thoughts of a character don’t exactly reflect what that character chooses to show the outside world. Maggie Mae has a defensive, numb-to-the-world exterior that hides the pain she holds inside, and I think most of us can relate to that on some level. Bethany did an incredible job of portraying Maggie Mae’s solitude. It made every positive thing that happened to her feel like a burst of warm light. When she repeatedly said things about not being able to count on anyone, “No one ever came back into my life once they’d left it,” I wanted happiness to happen for her so much. When she remarked about her hair looking better in its natural, blondish-red color but how she FELT better when it was dyed black, I put the book down for a second because I remember wanting to dye my hair black in my first year of high school. It was like Bethany had snuck into teenaged-me; I wanted to reach into the book and hug Maggie Mae. It’s those small details that made Maggie so real and relatable. My heart ached for her and I couldn’t stop reading because I wanted to see her wrapped in love; I wanted to see her heal. Well done, Bethany. And of course, there is Maggie’s awesome ability. As the title implies, she is a Shifter-- able to shapeshift into animal form, though she can’t seem to control her power. I just want to say, I loved this. I’d never read a story about shapeshifters and it is a power I loved being able to vicariously experience through the pages of a book. The first time Maggie Mae fully shapeshifted I cheered! And the descriptions while Maggie was in animal-form were gorgeous. Add to this a compelling element of suspense-- Skinwalkers are tracking Maggie down and it seems like they want her dead. All while Maggie tries to navigate her confusing feelings over Bridger, the sweet and protective boy who seems to want to kiss her one minute and push her away the next. She can’t bring herself trust with him with her secrets, but she can’t handle the terrifying Skinwalkers on her own and has to turn to someone. There’s a heartbreaking moment that made me want to yell at both Bridger and Maggie --actually, there were a lot of moments like that-- but that only tells me how real the world and these characters were to me. I was so happy there was an epilogue because I just didn’t want this story to end. This is a great book. I loved it. Before I close I want to say that this is an amazing feeling for me. I’ve always held a little dream that one day I’d be writing a Book Talk for someone I actually knew. When I first started blogging and making friends online, Bethany was one of them. She’s a gem of a person and has a special place in my heart; writing this Book Talk for Shifting feels surreal and incredible-- happy doesn’t even begin to cover it. I’m elated. I hope that this is the first of many Book Talks I write for her and for so many more of the friends I’ve made online. I’m all misty-eyed now, gosh!! When I first sat down to write this I was sure I’d be hyper-SQUEE high energy, and instead I’m sentimental!! *Hugs* to you, Bethany. You deserve this. And since this is an ARC tour, be sure to check out Katrina's review here. 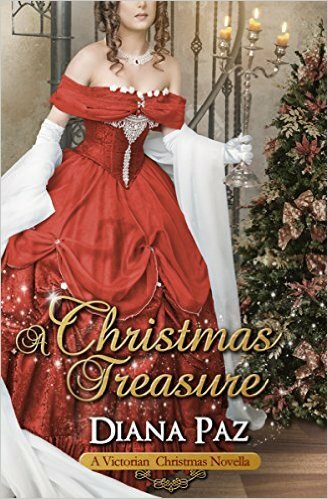 And check out Bethany Wiggins' blog here! Lines in the Sand: How Much of Your Life is in Your Work? Or, Isn't? When it comes to your life, how much of an appearance does it make in your novels? And do family and friends "look" for themselves (or you?) when they read your work? Discuss at DNA! I leave you with a random blast from the past... the opening credits to PUNKY BREWSTER! Because I loved this show when I was a kid.